The newest restaurant addition to Birkdale Village, Zoës Kitchen, is serving up food with a fresh perspective. Known for its fresh, Mediterranean ingredients, Zoës Kitchen was founded by Zoë Cassimus’, and the restaurant still features recipes created from scratch by Zoë herself! With locations in 11 different states, we couldnt be happier for Zoës Kitchen to arrive in Huntersville. From the bright colored stripes on the wall, to the friendly service and delicious food- Zoës Kitchen does not disappoint! There’s a wide variety of soups, salads, sandwiches and delicious sides and desserts. During my visit I had the greek salad- huge and packed with fresh tomatoes, peppers, feta and grilled chicken. 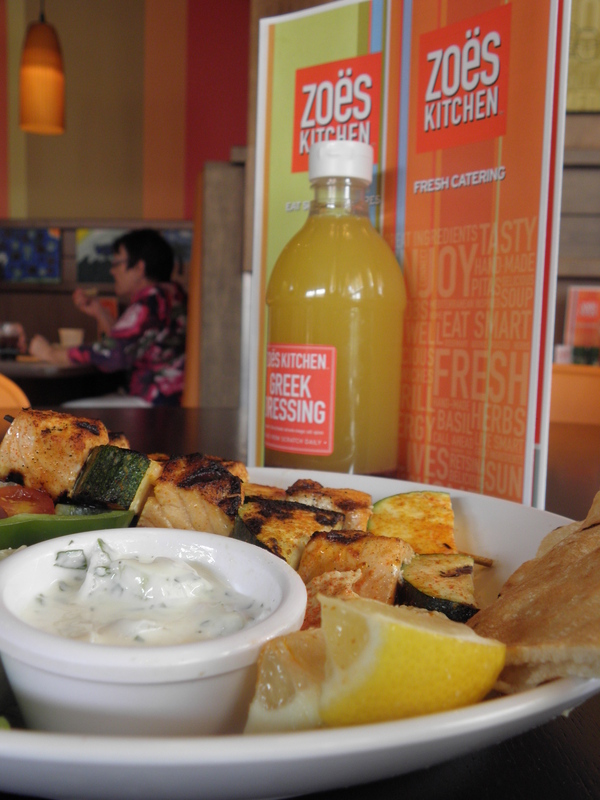 Bottles of Zoës Kitchen greek dressing can be found on each table. Be sure to try the fresh-squeezed limeade- a perfect blend of sweet and tart. 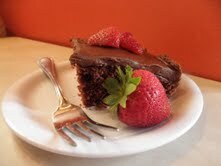 And if you’re in the mood to indulge- Yaya’s hand made chocolate cake is a chocolate lover’s dream- delicious! Zoës Kitchen also offers catering, take home tubs and family style dinners for 4, making it convenient to have Zoës Kitchen whenever you are craving delicious, fresh, convenient food!